Whether you’d consider 2017 a year to forget, or one to remember, we can all come together on New Year’s Eve to celebrate the arrival of 2018! There are numerous parties, celebrations, and special events happening throughout Virginia’s Blue Ridge. 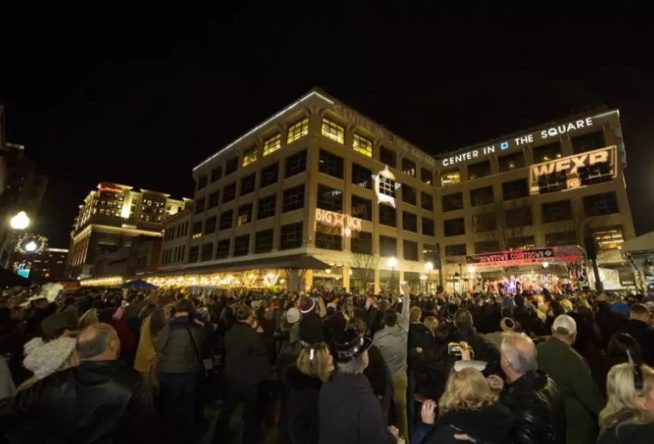 From family-friendly options with celebrations early in the day the kids can enjoy without having to stay up late, to the elegant parties where you and your sweetheart can get dressed to the nines and show off your style, it’s all part of how we celebrate New Year’s Eve in Virginia’s Blue Ridge. Buffet dinners, live music, dancing, and countdown clocks! It’s time to celebrate! Many of our hotels that are hosting New Year’s Eve events also offer overnight lodging packages, making it an easy way for you to enjoy the evening without having to worry about finding a place to stay at the end of the night. Take advantage and treat yourself! Time: 4:30 p.m. - 12:30 a.m.
Time: 5:30 p.m. - 1:00 a.m.
Time: 7:30 p.m. - 12:30 a.m. Dress to Impress New Year’s Eve Party! Time: 8:00 p.m. - 3:00 a.m.
Time: 9:30 p.m. - 1:30 a.m.
Visit our Events Calendar to learn more about other things happening in Virginia’s Blue Ridge! You can also subscribe to our E-Newsletter to get ideas to help you plan your next trip and remember to follow us on Social Media.